Manufacturer: Thurston Aircraft Corporation; Sanford, Maine, USA. (N2007T) 1970-??-?? Manufacturing date, built at Sanford Airport, Maine. Reserved registration number at factory. 1970-??-?? FAA C of A issued. 1970-??-?? First flight from Sanford Airport; Sanford, Maine, USA. 1970-05-14 US Export C of A # E87202 issued for export to Finland. 1970-06-02 Bill of Sale: Thurston Aircraft Corporation / Yrjö Laakso & Co Oy; Helsinki, Finland. OH-THA 1970-06-24 Temporary C of R issued to Yrjö Laakso & Co Oy; Helsinki, Finland. 1970-06-24 C of A issued. 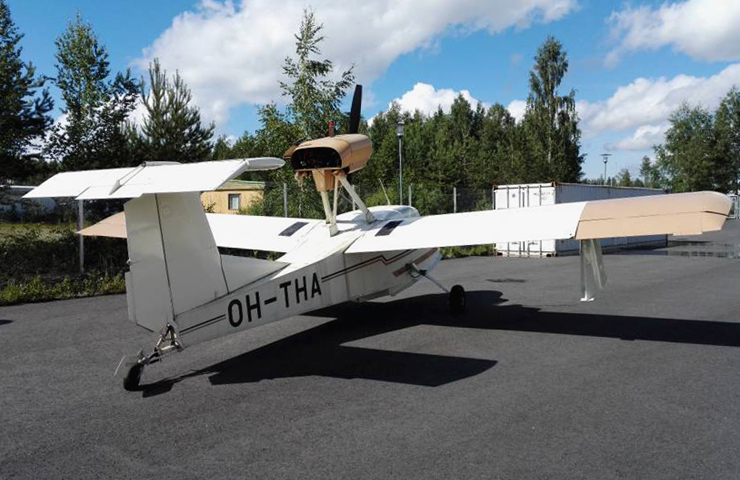 First flight in Finland from Helsinki-Vantaa Airport - EFHK, piloted by designer David B. Thurston (! ), 1 hr flight. 1970-06-30 Inspection at Helsinki Airport. A/C total time: 3:25 hrs. 1970-07-01 C o R # 631 issued to Ky Yrjö Laakso & Co; Helsinki, Finland. (Or 1970-07-07?). 1970-07-09 Yrjö Laakso & Co Oy; Helsinki (Change of legal entity). 1971-07-09 Inspection at Helsinki-Malmi Airport -EFHF. A/C total time: 73:25 hrs. 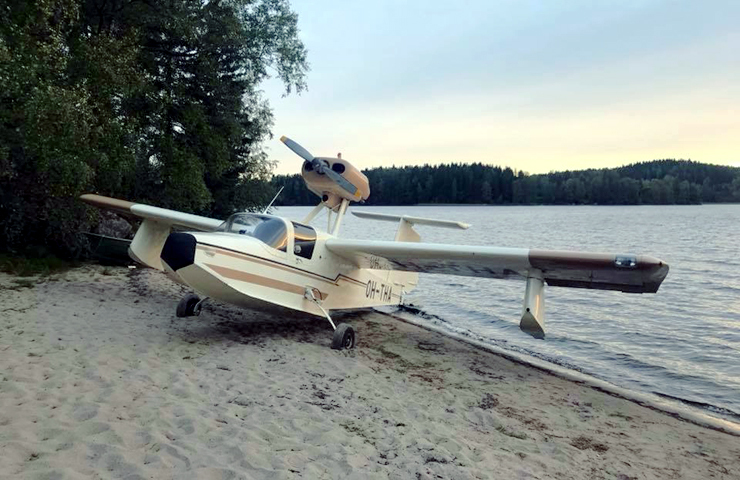 1971-07-14 Landed on Lake Niilesjärvi near Oulu 14:21 local time with gear down whilst on flight from Oulu. Both people aboard swam safely ashore. A/C sustained substantial damage. A/C total time: 78:30 hrs. (PIC: K. Rajala; Oulunsalo). 1972-01-31 C of A expired. 1974-11-27 Cancelled from Finnish Register as destroyed. 1977-08-30 Cancelled (again!) as not airworthy since more than two years. 1982-02-18 Bill of Sale: Seller: Eero Hokkanen [Kaituentie 27 E 69, FI-50160 Mikkeli], (Yrjö Laakso & Co Oy). Purchaser: Länsi-Savo Oy; Teollisuuskatu 2-6, FI-50130 Mikkeli, Finland. 1986-08-28 Temporary C of R # 631  issued to Länsi-Savo Oy; Mikkeli, on completion of rebuild. 1986-11-07 Temporary C of R  issued. 1987-02-05 Temporary C of R  issued. Expired 1987-02-28. 1987-04-28 Temporary C of R  issued. Expired 1987-06-15. 1987-07-30 Temporary C of R  issued. 1987-09-15 Inspection at Kuopio Airport - EFKU. A/C total time: 82 hrs. 1988-05-19 Full C of A issued. 1988-05-30 C of R # 631 restored with company Länsi-Savo Oy; Mikkeli, Finland. 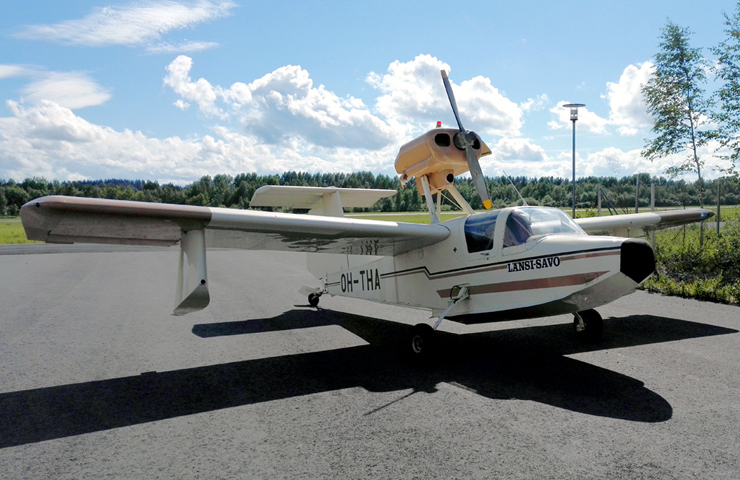 1989-09-19 Annual at Mikkeli Airport - EFMI. A/C total time: 101 hrs. 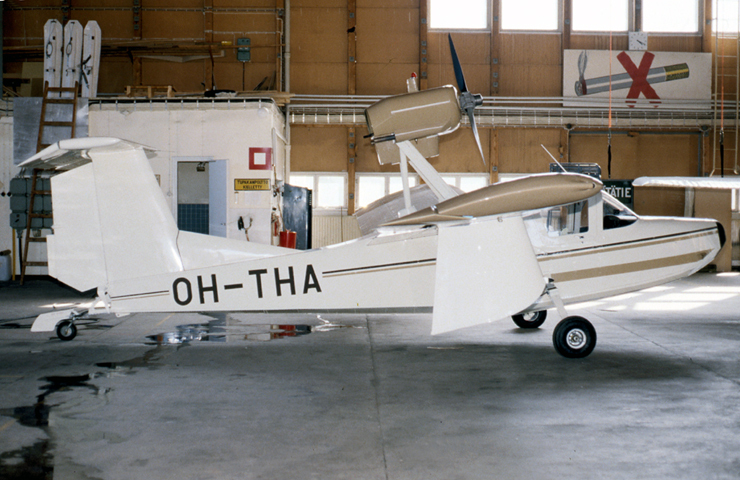 1991-09-20 Annual at Mikkeli Airport - EFMI. A/C total time: 108 hrs. 1993-09-30 C of A expired. 1996-06-30 Observed hangared at Mikkelo EFMI. 1997-06-30 Cancelled as not airworthy since at least two years. 2016 For sale. Total time 108 hrs. 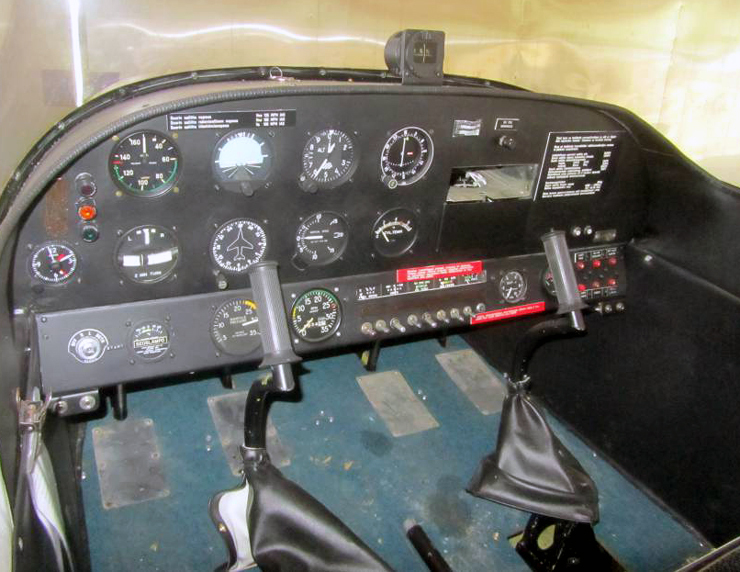 Engine: Lycoming O-320-A3B, installed 1986. Running time since overhaul 432 hrs. Overhauled on 21 Sep 1970. 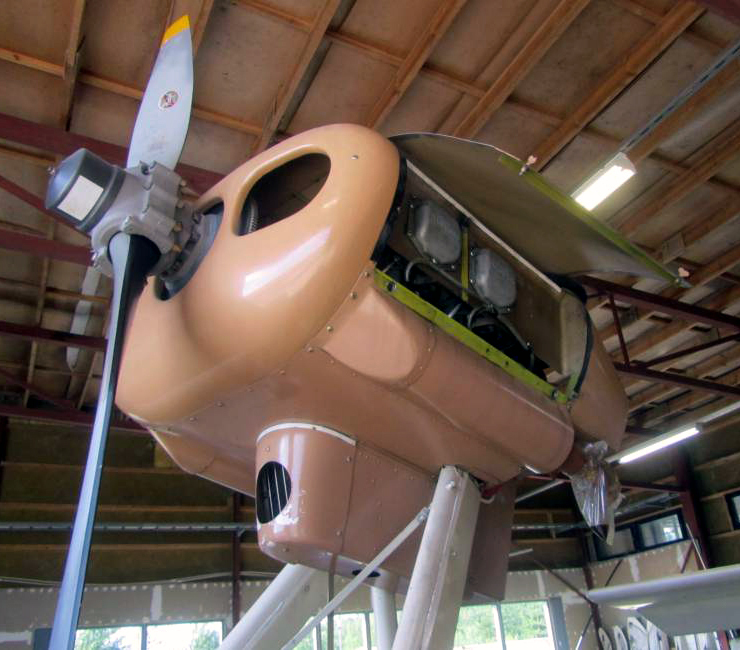 Propeller: Hartzell HC-C2YL-1BF, installed 1991, Running time since overhaul 5 hrs. Overhauled April 91. Total time 113 hrs. Aircraft was inspected July 2016. A/C is not airworthy, last logbook entry 17.6.1991, Last ARC done 20.9.1991. Expected annual maintenance, systems are working, always hangared, nice clean paint (white with beige stripes on side). Located in Mikkeli EFMI, Finland. 2017-07-07 Bill of Sale: Seller: Länsi-Savo Oy; Teollisuuskatu 2-6, FI-50130 Mikkeli, Finland. Purchaser: Kari Tarhanen; Hindsbyntie 35, FI-04130 Sipoo, Finland. Kari Johannes Tarhanen; Hindsbyntie 35, FI-04130 Sipoo, Finland. 2018-04-13 First flight after restoration. Ferry flight from Mikkeli Airport EFMI to Lahti-Vesivehmaa Airport EFLA.